• ETL US & Canada listed and FCC compliance certified; meaning safe to use close to your VHF antenna. • US CREE LED 700+ lumen 6000 K output. • Replaces 50W halogen sealed beam (AR111 & spreader and foredeck lights. • 38 degree beam, 2000 lux @ 1M. 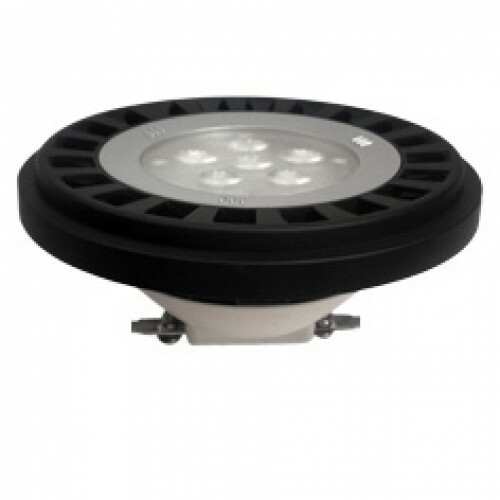 • Aluminum alloy housing provides an ample heat sink as well as ingress protection to ensure a long operational life. • Ultra-long life. Shock and vibration resistant. • IP67, MIL-STD-810G Shock & Vibration Resistant, ASTM B117 Salt Spray (Fog) Compliant. • 25,000 Hour Life Span rated US CREE LEDs.